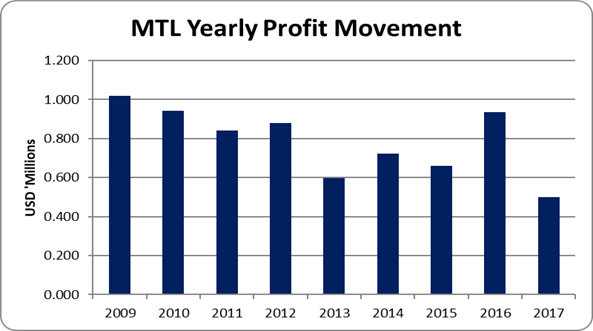 As a result, gross profit grew year-on-year for the three-month period by 15%, from US$1.19 million in Q1 2017 to US$1.38 million in Q1 2018. Total expenses rose by 13% for the period in review to US$1.08 million in Q1 2018, up from US$953,302 in Q1 2017. The increase was associated with a 15% increase in administrative expenses to US$948,665 from US$823,535. For both periods, the portion of the total expenses associated with management fees amounted to US$62,500, while promotional expenses increased 172% from US$6,031 to US$16,408. Consequently, operating profit grew by 23% to US$296,412 (Q1 2017: US$953,370). Total comprehensive income for the quarter amounted to US$296,412 relative to US$241,579 million the previous year, a 23% increase. The twelve-month earnings-per-share was US$0.0082, while for Q1 2017, it amounted to US$ 0.0044. The number of shares used in our calculations was 67,500,000. The company, as at August 31, 2017, recorded total assets of US$4.62 million, a decline of 11% when compared to US$5.2 million for the Q1 2017. Total Stockholders’ equity as at August 31, 2017 closed at US$4.02 million, a 6% decline from US$4.27 million for the corresponding period last year. This resulted in a book value of US$ 0.059.